Ideal for horses with larger heads, the Dever Classic 3/4 inch Flash Bridle With Wide Noseband is made in fine quality English leather with stainless steel fittings. The use of a flash noseband helps keep your horses mouth closed. 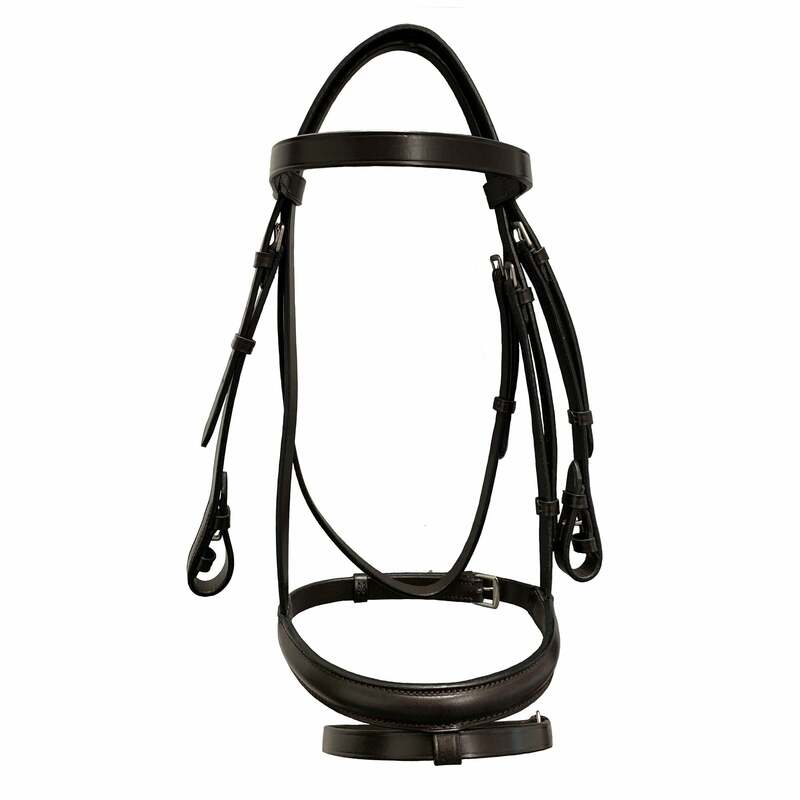 Please Note: This bridle will need several layers of leather conditioner before use to soften and protect the leather.